Items flown on the very last flight of the Shuttle, STS-135, have thus far been few and far between to come to market. This gold colored seal was flown on that mission and is attached to a very a colorful (and informative) 8.5x11 presentation issued by John P. Shannon to a space worker at the conclusion of the Shuttle Program. 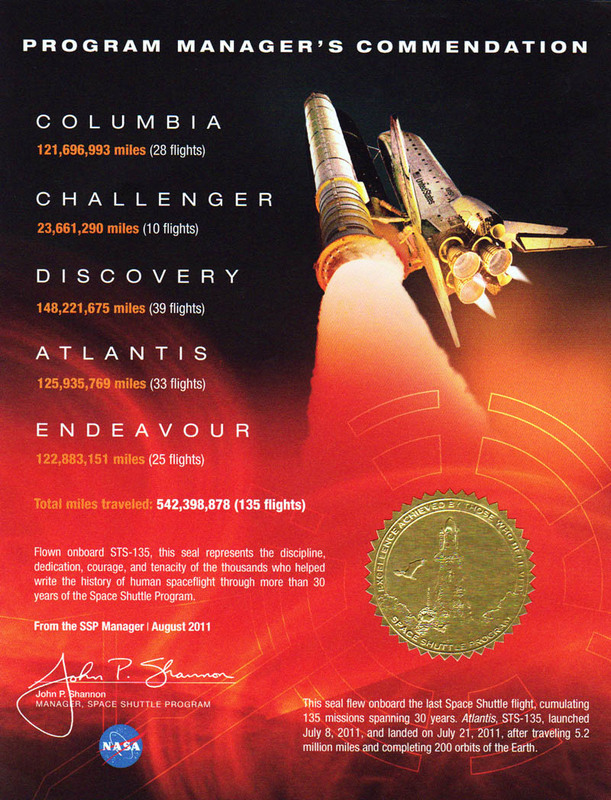 The certificate details that the gold seal flew 5.2 million miles aboard Atlantis on the flight of STS-135. If you were looking for a flown item to close out your Shuttle Program collection, this might be it.